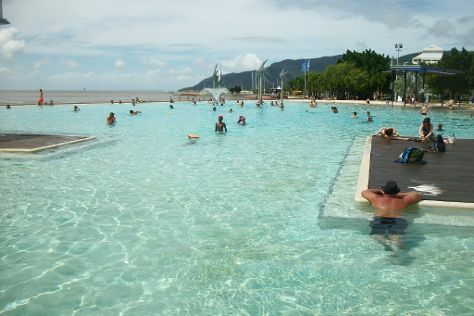 For other places to visit, ratings, where to stay, and tourist information, go to the Cairns journey builder app . Kolkata (Calcutta), India to Cairns is an approximately 15.5-hour flight. You can also do a combination of train and flight. Traveling from Kolkata (Calcutta) to Cairns, you'll lose 4 hours due to the time zone difference. Traveling from Kolkata (Calcutta) in February, plan for somewhat warmer nights in Cairns, with lows around 28°C. Wrap up your sightseeing by early afternoon on the 21st (Thu) to allow enough time to travel back home.